Specialists in High Level Cleaning and Disinfection services! High level areas both internally and externally in industrial fabricators, food factories, retail & leisure facilities are often difficult to keep clean and hygienic. They often need the use of specialist equipment and chemicals to ensure that essential high level cleaning is carried out in a controlled manner and a safe manner. Regular high level cleaning is vital important to help maintain a high standard of hygiene within your premises. In food manufacturing facilities it helps reduce the risk of expensive product contamination taking place and the resulting spread of infection that can occur. DH Complete Cleaning offer a specialised, cost effective high level cleaning and disinfection service. We ensure all elevated areas are fully and thoroughly cleaned. We work to stringent health and safety standards. DH Cleaning’s technicians complete a risk assessment before commencing any high level cleaning operation. Maintains a high standard of hygiene! Reduces the risk of product spoilage and downtime in production. DH Cleaning utilise high level access equipment and advanced cleaning techniques. Our trained technicians perform the specialised cleaning service at times that are convenient to your business. 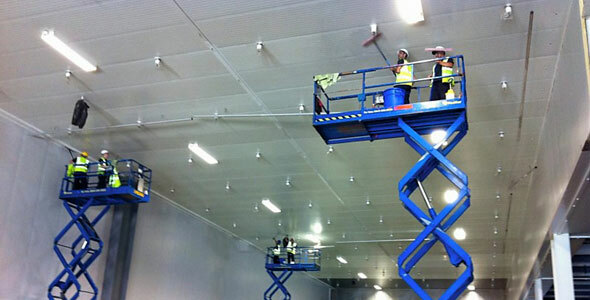 We are also capable of dealing with all high level cleaning situations. DH Complete Cleaning is also proficient in confined space cleaning. We offer a regular scheduled cleaning service to ensure a consistent level of hygiene is maintained within your premises. For cleaning services in Manchester or for more information on our competitive prices, call DH Complete Cleaning today for a free no obligation quote on 0161 763 5666 or 07974 438 761.